National Housing Bank (NHB) has released the NHB Exam 2019 Admit Card on its official website. The candidates who have successfully registered for the NHB Assistant Manager (Scale I) Recruitment 2019 can download their Online Exam Admit Card from the official website. The NHB 2019 online exam will be conducted on April 21, 2019. To appear for the NHB Exam 2019, the candidate should carry their NHB 2019 Exam e-Call Letter along with them at the time of examination. The Exam centre and Timing of exam will be mentioned on the NHB Exam 2019 Admit Card itself. Visiting nhb.org.in should be your first step. On the homepage, look for the scroll on the top. You will be redirected to another page, click on the download link. Choose the language in which you want to download the admit card and provide your registration details. Enter the captcha code and hit the 'Login' button. Save your Call letter and take a printout to appear for the exam. For more details or better help, visit safalta.com and ask the experts available. 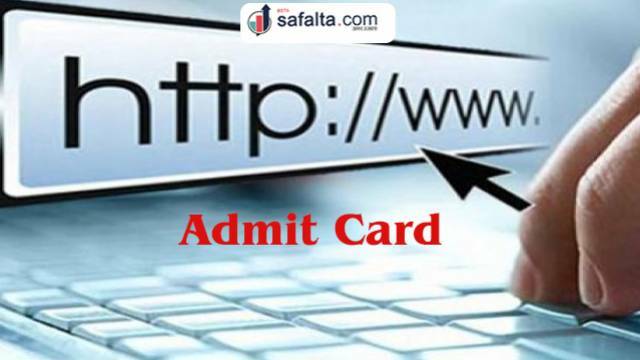 Safalta portal is no doubt the best online assistance for government jobs preparation.